Eid ul Fitr has been confirmed for tomorrow, Sunday June 25thinshaAllah! 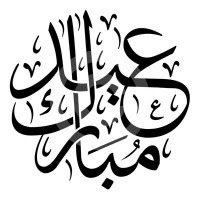 Chicago Hilal Committee has declared Eid based on a verified sighting of the new moon of Shawwal in Chile. May Allah accept our fasts, prayers, remembrances, Quran reading and recitations and allow us to see another Ramadan in good health and strong faith.